If you are in the UK, you may want to check out GoTab 7-inch Android ICS tablet. It is available for £80. Of course comparison with other top tablets would be absurd. However it is pretty good for its price. The bad thing is the small 4GB storage and no Bluetooth connection. The rest of the configuration are quite good for its price. When it comes to key features the ones that stand out the most include these: ARM A8 – RK2918 1.2Ghz Processor, 7” Capacitive Touchscreen LED screen, 512MB RAM, 4GB Storage Drive, Android 4.0 Ice Cream Sandwich (Would have been better if this was capable of Jelly Bean loving”, other key specs we like include Fast Browsing, Facial Recognition and the ability to link to TV (We do love a little streaming now). 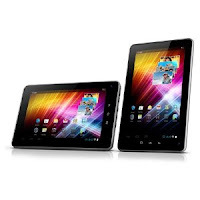 This tablet also comes with SD Card slot capable of up to 32GB, 16:9 Aspect Capacitive Touchscreen (800 x 480 WVGA Resolution) Wireless N 802.11b/, HDMI 1080p Out, Micro USB Port, 0.3MP Front VGA Camera, 2,000mAh battery and much more. Well, it is listed on Amazon website for $133 from third party retailers. You can check out the Amazon listing by clicking here. There are no reviews on Amazon.